Our pals at the FCC give us more insight into the gadgets that are coming down the pipe than anywhere else. Since all the hardware that hits store shelves packing wireless anything has to come through the FCC on the way to launch, the first pics of the device often come by way of the FCC. Such is the case with the new Huawei MediaPad that has hit the FCC. The tablet will apparently be headed for T-Mobile when it gets the approvals it needs. We have no idea when the tablet will launch, but it will likely be soon since the FCC is often the last hurdle to clear for launch. 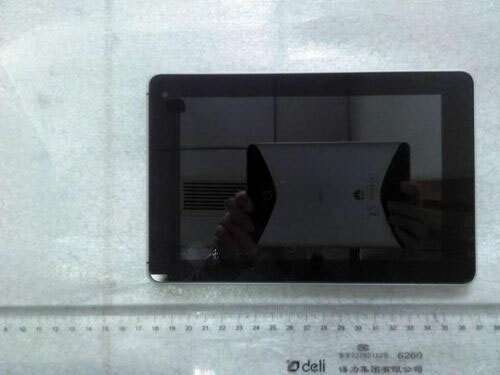 The MediaPad will use a 1.2GHz processor, a 7-inch screen with 1280 x 800 resolution, and it will have dual cameras. The MediaPad will also pack HDMI and run Android Honeycomb 3.2. The T-Mobile version will pack in 3G and HSPA+ connectivity as well. One of the more important features of the tablet will be the price. The MediaPad is said to sell for $200 on contract making it a very nice deal. The normal price is said to be $500. That $500 tag will be a very hard sell and most people that buy will end up getting it on contract.